Two new pieces in the studio are complete and ready for sale. 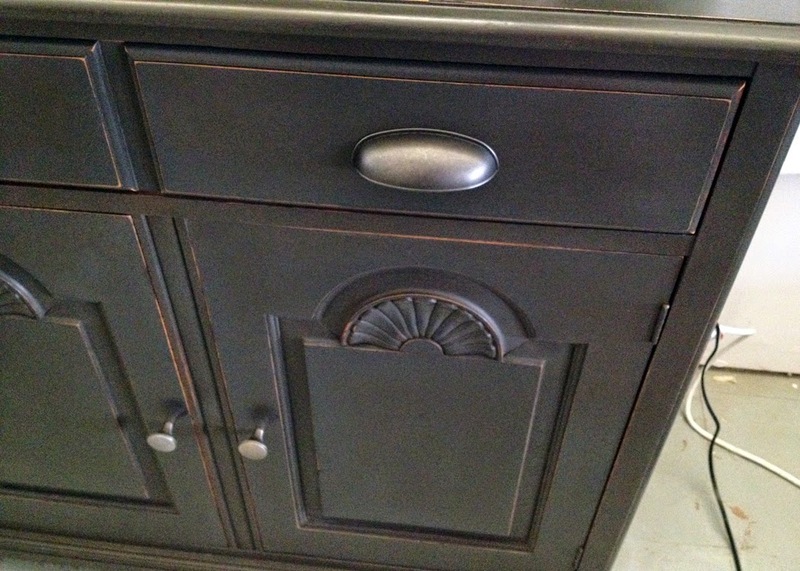 The first one is a beautiful, black, lightly distressed, hand (dark)waxed finish using American Paint Company's Chalk/Clay Mineral Paint. I love their products and intend to start carrying them in my studio, very soon. The coverage is amazing and I can get any consistency I need, simply by adding a little water. This results in a gorgeous brush-less finish. The wax goes on like butter and is so much easier to apply then the Annie Sloan waxes, I had been using, which are beautiful, but can be difficult to apply correctly. The thing I love the most about American Paint Company's Chalk/Clay Mineral Paint, is the fact that they are VOC free and safe for the environment and the painter! Of course, they are made in the USA as well! Win! Win! The paint is thick and rich in pigments and the color options are wonderful. 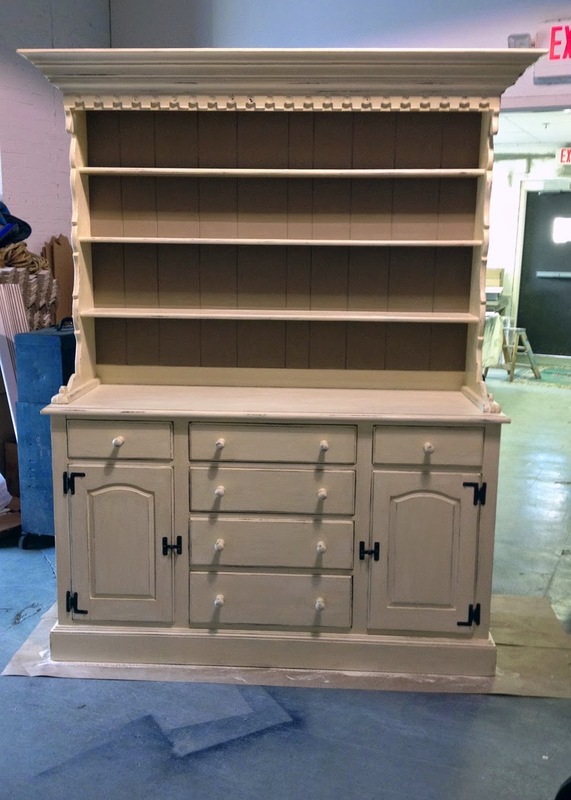 Donna, at Painted Past Designs has been so helpful, please visit her beautiful website for more inspiration! She has a Facebook page that is awesome as well...go follow her!! Before waxing, two coats over dark pine. All done, ready for styling. 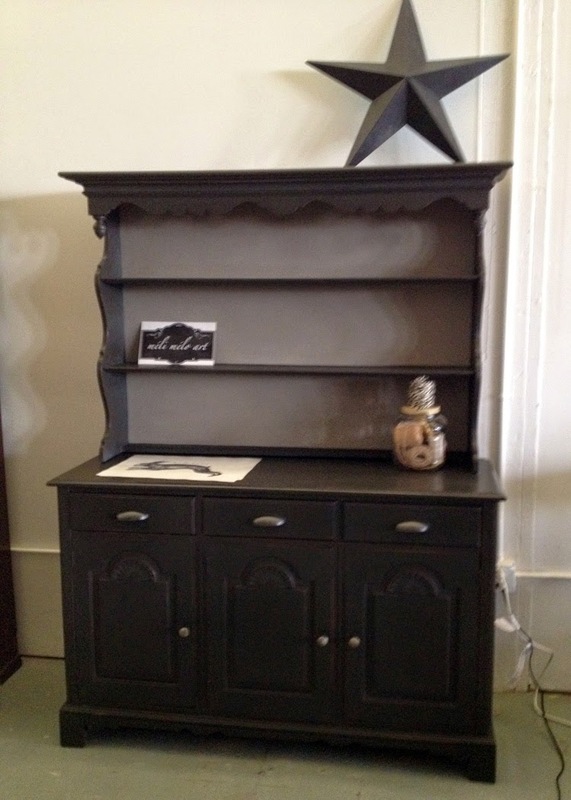 Next up is the huge hutch I bought almost two years ago...It is 66x22x82 inches. Yes, it's big, but oh, the storage in this thing. Honestly, I love it so much, I wish I had room for it in my kitchen. Right now, it resides in the studio "kitchen" area. 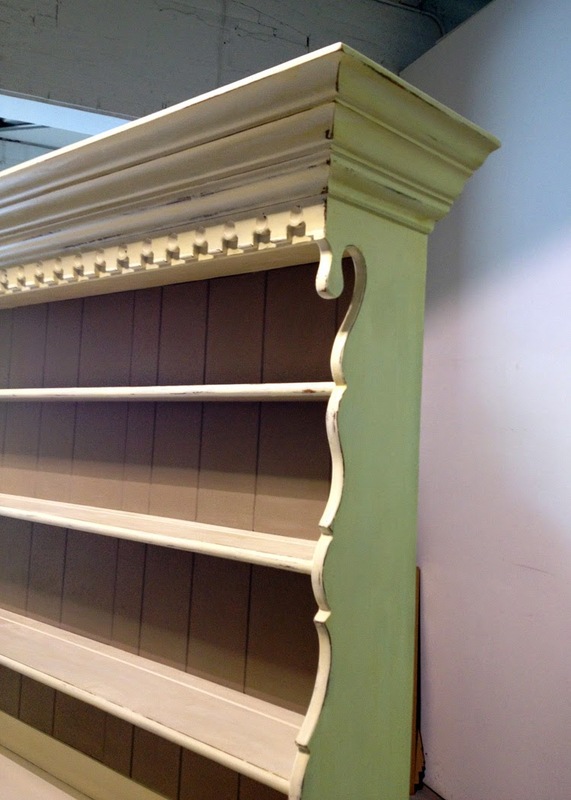 The crown molding on top is about six inches and is cut from a one and half inch board. It was made by Drexel in the early fifties, as far as I can tell. 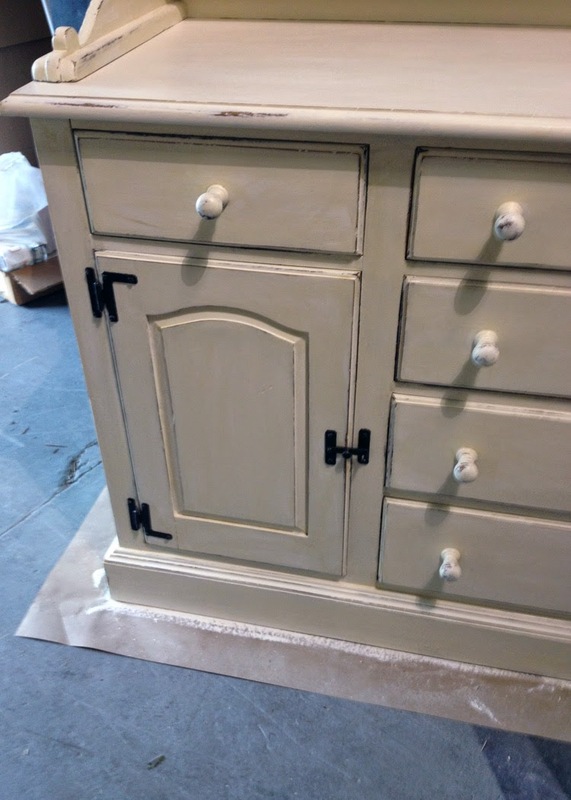 This one is painted in Annie Sloan Chalk Paint, Old White and CoCo. I did not wax it, after a light distressing, I used General Finishes Poly in satin, to protect the finish. I like how it looks slightly glazed with this finish. 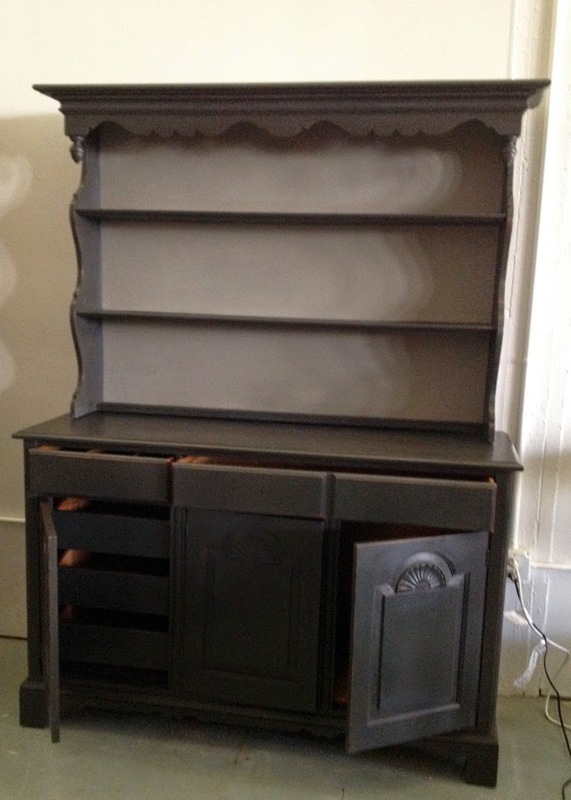 A very pretty, useful piece of furniture. 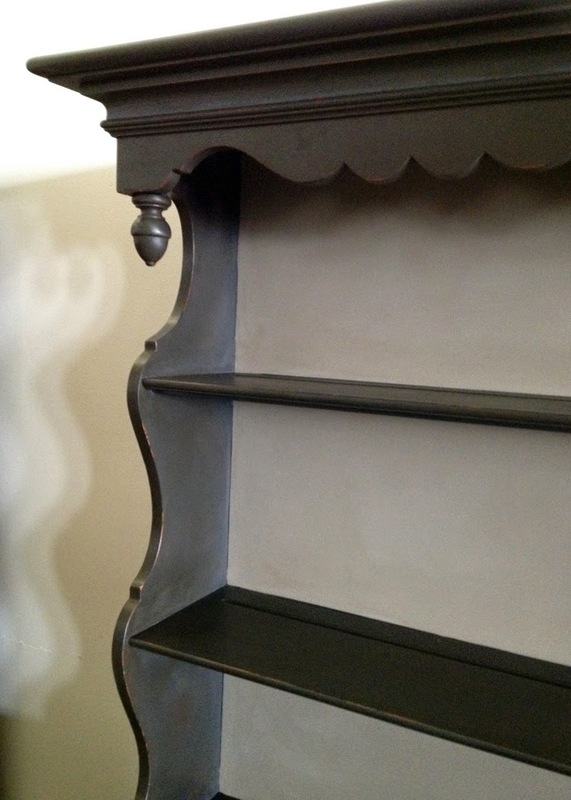 Original hardware, painted in Rustoleum's Metallic in Chestnut. Phew, hutch painting is hard work... I received the Arhaus catalog this week, and guess which two furniture finishes were featured everywhere? Distressed black and distressed white. My price points are much better! I have purchased an executive desk, made by Harden, that will get an Arhaus treatment. 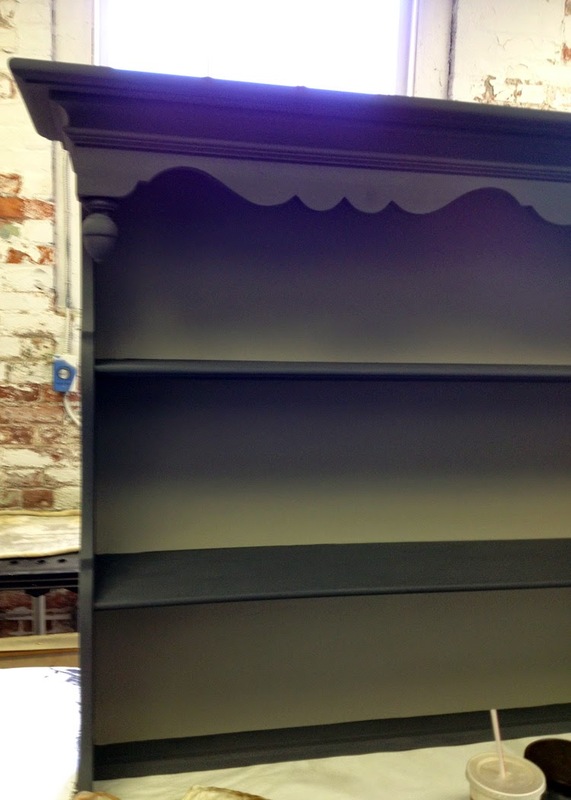 The cherry top will be refinished to it's original lovliness...stay tuned! Oh my Roseanna! These are spectacular!!! I would love either one of them. They are just perfect! I don't know how you can part with them.